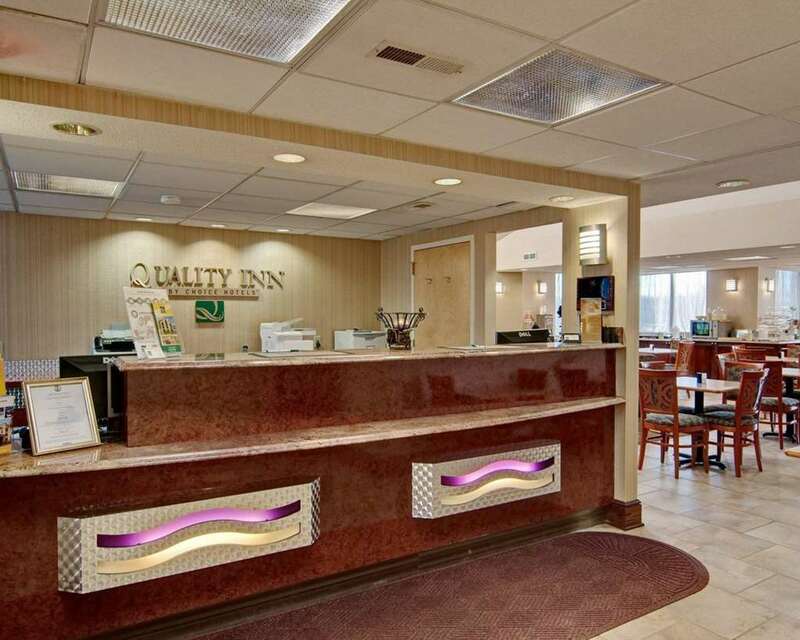 The Quality Inn hotel in Salem, VA gives you real value with peace of mind. Our pet-friendly hotel is near Roanoke College, Mill Mountain Zoo, Salem Civic Center and Dixie Caverns and Pottery Shop. Relax and focus on the people and experiences you came for with amenities that include free continental breakfast, free WiFi, free coffee, free weekday newspaper, a newsstand, seasonal outdoor pool and copy and fax services. Each inviting guest room features a TV, hair dryer, microwave, refrigerator, iron and ironing board. Also, earn rewards including free nights and gift cards with our Choice Privileges Rewards program.